Solitaire is a simplest and classic card game. 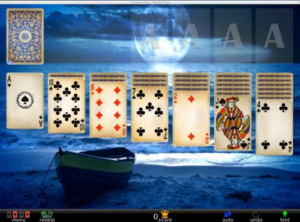 It comes with 22 solitaire games that come in just one package. Full Deck Solitaire is a visually gorgeous version that’s also easy to pick up and play. Aside from that it’s very much the Solitaire we all know and love. A great free addition to the Mac. There are many small and beautiful features in this app that will appeal to users. This is a recommended game for Mac users the world over.